If you’ve got about Rs. 5 crore lying about in small change, here’s a little toy you can indulge in. 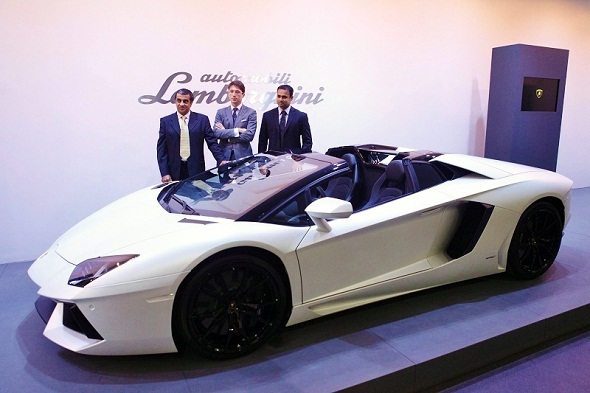 The new Lamborghini Aventador LP700-4 Roadster is now in India and can be yours for a sum of Rs. 4,77,50,000 ex-showroom Delhi. What makes this Lambo special? For one it’s a convertible. It features a removable two-piece roof that can be taken off and stored manually. The roof weighs just 6 kg, and is made of composite carbon fibre. The car features plenty of aerodynamic cuts and curves befitting of a Lamborghini, with large fins and air-intake dominating the rear engine cover. All that weight reduction and aerodynamic sculpting along the body has resulted in the car accelerating a few milliseconds faster than its predecessor – the Lamborghini Aventador Roadster can do 0-100 kmph in only 3 seconds flat. That’s 0-100 kmph in faster than it takes for an average person to read the previous sentence! Top speed is a claimed 350 kmph, which should give you decent bragging rights until you meet the guy who drives a Bugatti Veyron. 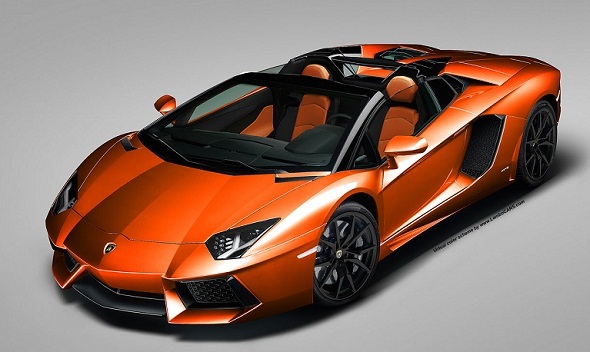 The power to the Lamborghini Aventador Roadster comes from a 6.5 litre V12 (12-cylinder) engine putting out 700 bhp of power with a seven-speed semi-automatic gearbox. The interiors of the car are done up in handcrafted leather, with a plush ambience for the two occupants. The tiny rear-windscreen can drop down, just in case you want that V12 soundtrack to become more audible.